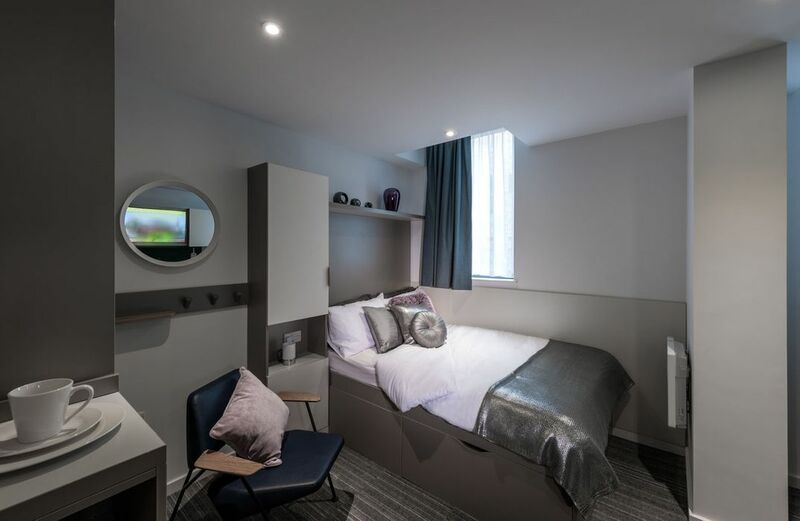 With the universities of Newcastle and Northumbria less than 15 minutes from your apartment at Verde, you never have to worry about being late for class. Spend your downtime feasting on chow mein and crispy duck at Chinatown’s Royal Emperor restaurant, or shopping for the latest fashions at the intu Eldon Square mall. Experience the atmosphere of a Premier League football match at nearby St James’ Park Stadium, or lose yourself in the wonder of a West End musical at the Tyne Theatre & Opera House. 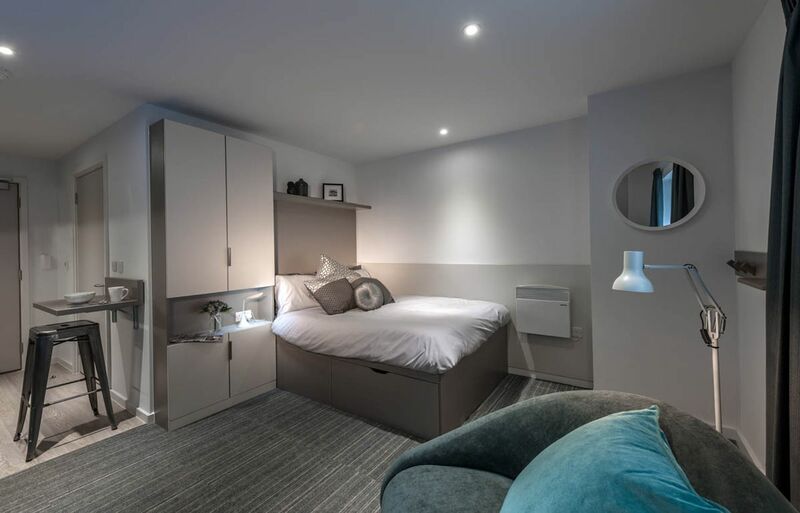 From your new home, it’s a 10-minute walk to Newcastle University – or slightly longer, if you stop at Central Bean Coffee House for an espresso and a freshly baked croissant en route. Use the nearby bus stops to reach Northumbria University in 13 minutes, or to explore the rest of the city on weekends. If you prefer, St James metro station is also just five minutes’ walk away. 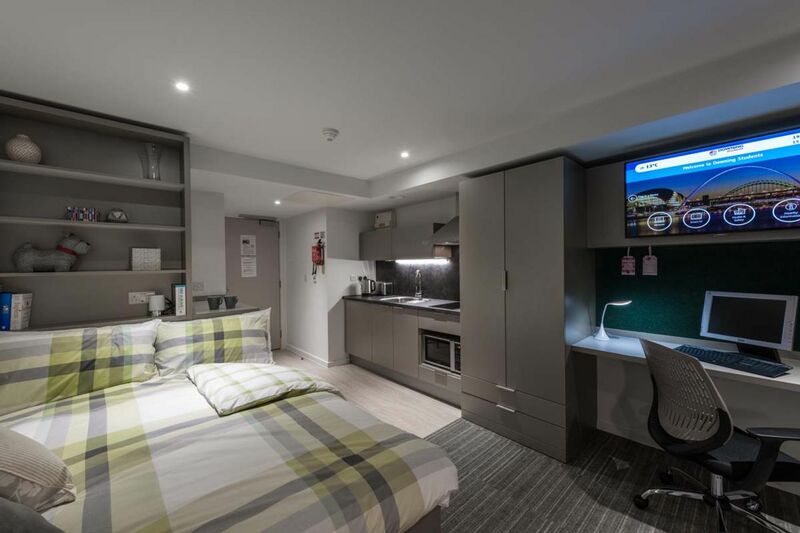 When you’re not busy with classes or trips across Newcastle, come home to your fully-furnished apartment. Relax with a good book on your bed, curl up in front of your favourite Sky TV shows, or get motivated with a session in the on-site gym. Make the most of your all-inclusive utilities by taking as long as you like in your ensuite shower, then use the high-speed Wi-Fi to finish your assignments at your bedroom desk. After submitting your work, head to the common room to catch up with your friends. Drop your clothes off at the laundry on the way, then bag a spot on the sofa, grab a gaming console and see if you can beat the highest scores. Later, stock up on exotic ingredients at Chinatown’s Wing Hong Supermarket, then cook something delicious for dinner in your apartment kitchen. In summer, you could even pack a picnic and eat alfresco in Leazes Park instead. However you spend your time at Verde, contents insurance and state-of-the-art-security will give you absolute peace of mind. Wir haben leider keine Unterkunft gefunden, die deinen Wünschen entspricht.Alle Privatzimmer in Verde ansehen. Wir haben leider keine Unterkunft gefunden, die deinen Wünschen entspricht.Alle Ganze Wohnung in Verde ansehen. Unless you have already collected the keys to the accommodation, you may cancel your booking by writing or sending an e-mail to us at info@downingstudents.com, at any time during the 14 days after we send you an e-mail confirming your booking is complete (the 14 Day Cooling-Off Period ). If you do that, we will make no charge and will return your Security Deposit to you.